Throughout the year we run Girls Only nights for girls in school years 6-8 and 9-12. Each night is themed on issues relevant to teenage girls such as body image, healthy eating or coping with stress. Our most recent Girls Only night featured a massive cook off and informative workshop with a qualified dietician – check out our blog posts on past events below! Information about upcoming events will be here soon, so check back in or keep up to date on our socials!. 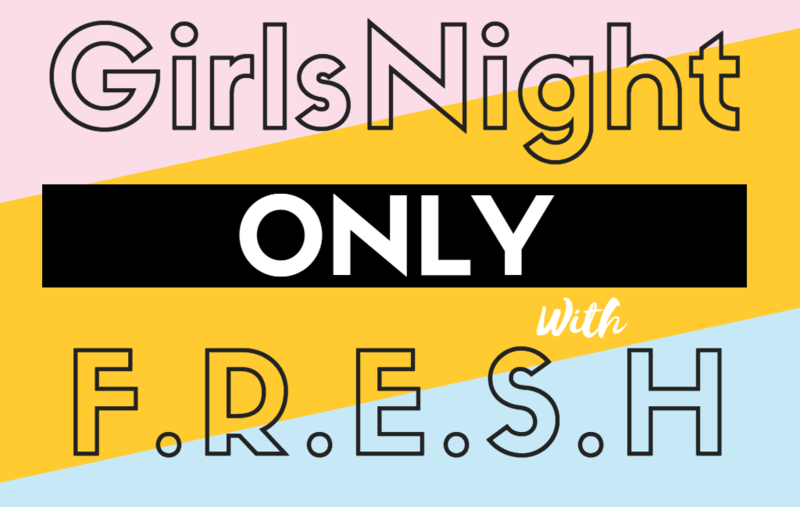 Our F.R.E.S.H volunteers are hosting this term’s Girls Only Night just in time to wrap up another awesome term! This free event is open to all young women aged 12-25 years old. As F.R.E.S.H has a strong focus on nutrition education, minimising food waste and cooking you can expect to have some yummy treats, check out activity stalls, games and more! In attendance will be our special guest; clinical nutritionist Marie. She will be running a great workshop on sugar reduction, maintaining a balanced diet and DIY breakfast granola. So make sure you save the date & check it out!